Whatever 2017 may have in store for us down here on Earth, at least the skies are predictable! Here are some highlights of things to look forward to in the coming year. By far the biggest blockbuster astronomical event of 2017 is the Total Solar Eclipse on August 21. 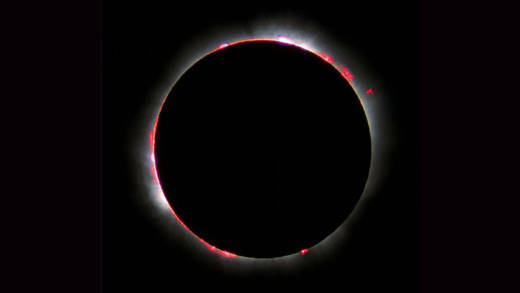 Though solar eclipses are not as rare as you might think, this one stands out as special, with the path of totality slicing right through the United States. "Totality" is when the moon blocks out all of the sun as seen from Earth's surface. The moon's full shadow (the "umbra") will cut across northern Oregon starting just west of Salem, heading east. For any given location along the path of totality, the full eclipse will last for about two minutes. 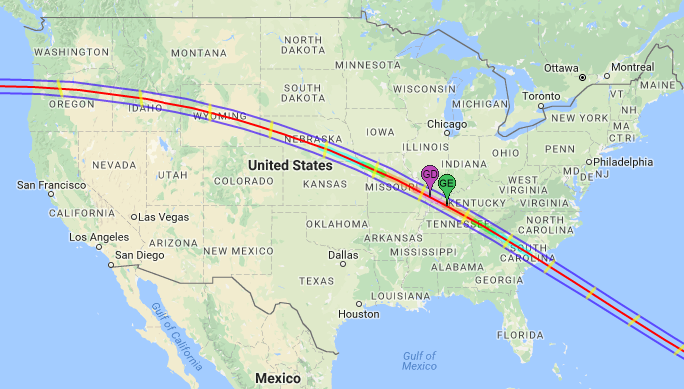 You can use this interactive map to find out where and when totality will occur. Zoom in and click on any location for details about the eclipse. Keep in mind that the times provided are in Universal Time (UT), which is the same as Greenwich Mean Time. Be sure to correct for local time! After passing through Salem, Oregon, totality moves eastward, veering slightly south. Along the way it will cross Jackson and Casper, Wyoming, Columbia, Missouri, Nashville, Tennessee, and Charleston, South Carolina. After passing over Charleston it heads off into the Atlantic Ocean. If you live anywhere along the path of totality, you will witness one of the most awesome astronomical spectacles we can see in the sky, something that happens on average only once every 400 years for any given geographic location. If you live outside of the path of totality and can't make the road trip to get there, you can still enjoy a partial solar eclipse from wherever you live in the country. From the Bay Area about 75 percent of the sun's disk will be covered by the moon at peak eclipse, around 10:15 a.m. pacific time. Even if you live at the southern tip of Texas, you will still enjoy a partial eclipse with 50 percent of the sun blocked. 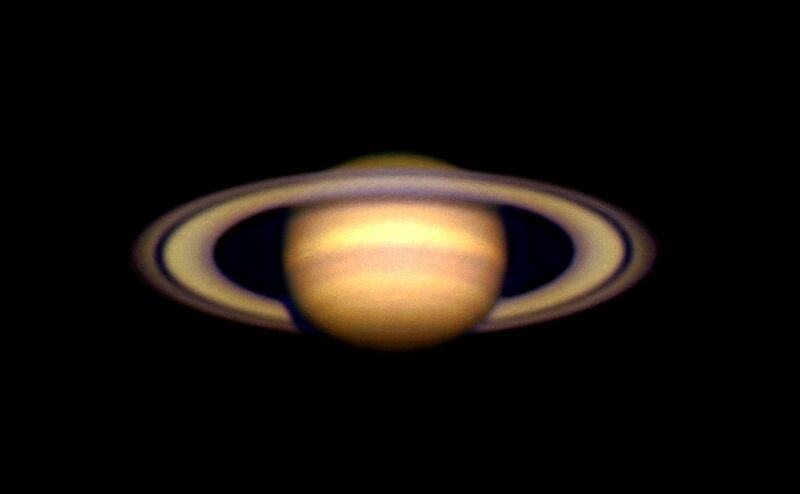 Spring and early summer bring our solar system's two largest planets, Jupiter and Saturn, into position for the best viewing. When the Earth passes between the sun and another planet farther from the sun, that other planet is at "opposition". At this time, it is closest to us and positioned prominently in the nighttime sky. The planet in opposition rises around sunset, reaches its highest point in the sky around midnight, and then sets around dawn. Jupiter reaches opposition on April 7 and Saturn follows on June 15. But viewing an opposition isn't necessarily a one-day event, and each planet will shine prominently in the night sky for several weeks before and after the opposition. In mid-May, the two will appear together in the hours surrounding midnight, Jupiter falling toward the southwest, Saturn climbing in the southeast. 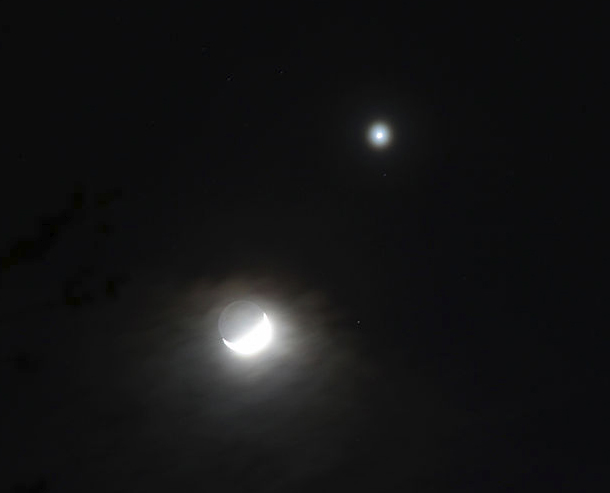 While the appearance of planets come and go at different times every year, rarer are those times when two or more planets form a "conjunction," appearing close to each other along the same line of sight. This year, the two brightest planets of all, Jupiter and Venus, come together on November 13, passing within a third of a degree of each other—less than the width of a full moon! And speaking of the moon, the thin waning crescent moon will be visible higher in the sky, directly above the planetary pair. Think of it like a bonus reward for getting up so early! This conjunction will be visible for a brief time just before sunrise, low on the eastern horizon—but it's worth setting the alarm a bit early to glimpse. As unpredictable as life on Earth can be at times, we can always look to the sky for reliable and awe-inspiring spectacles! Just keep looking up.